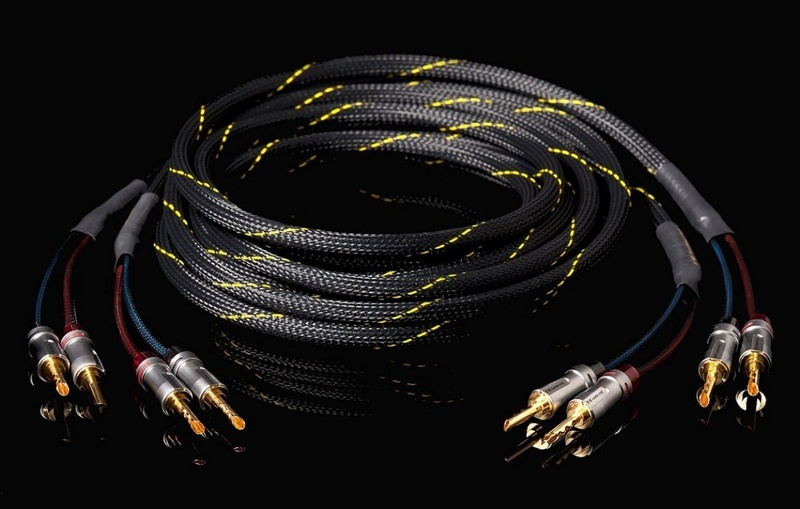 Cable with proprietary 4VRC©, copper cooking for four times in order to obtain a reduction in values of inductance, capacitance and resistance, finished with banana plugs quality crocodile. Natural sound, excellent tonal balance with a powerful bass extension never bloated, sounds very warm, high precise localized and transparent ever aggressive.Conductors 2 x 4 mm 4VRC©. Technical characteristics: External jacket mm. 100; Number of Cond. 2; Cond. Copper (4VRC); Capacity max. 114 Pf/m. ; Conductor Resistance: 4,95 Ohm/100m. Price : RM2900.00 (Shipping not included).